The WWE 2018 Royal Rumble isn’t for another six weeks but that’s not stopped a few online sportsbooks getting in early with betting odds for the WWE Royal Rumble. 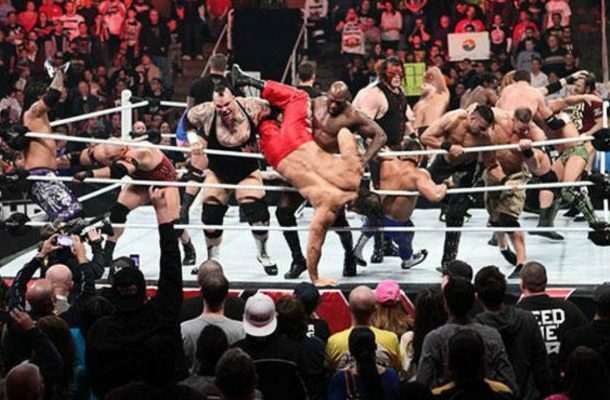 In this article I’m going to cover the WWE Royal Rumble odds. I’m going to save the betting tips for another post however I’ll add a few thoughts. The online sportsbook 5Dimes – which acceptes Americans – has a very limited offering on who will win the Royal Rumble. But if you are an American looking to bet, they are the best place. Those are American odds. For +260, $100 would profit $260 for example. If you’re outside America, the best book to bet at is 888 Sports. Along with the above wrestlers you can bet everyone else. From Matt Hardy, Kevin Owens and Baron Corbin to Bill Goldberg, Daniel Bryan and Kurt Angle. Hell you can even bet Donald Trump or X-Pac to win the Royal Rumble. So that’s all that has been released so far with the Royal Rumble betting odds. I can’t see Roman Reigns winning the Rumble after the last time he won. I think he will win the #1 contendership via elimination chamber instead. Possibly something involving the Shield. So with that we have to look at the Smackdown title. Cena is the favourite but I’m not really feeling him. Nakamura is the smarks dream assuming it’s AJ Styles but would they do those two together? Nakamura has been underwhelming so far. Personally I’ll do a small bet on Nakamura at the moment and a small bet on the ultimate underdog, Baron Corbin. He’s currently 25/1 at 888 Sports. Really have to wait till after Clash of the Champions to get a better picture on it though. I’ll update this post as the odds come in.